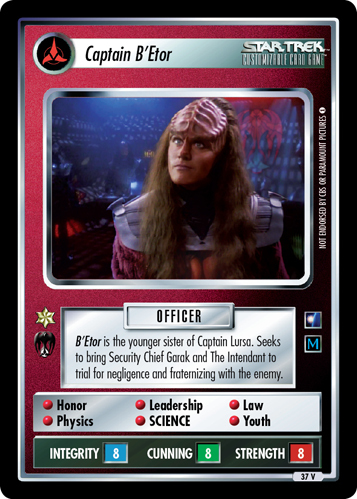 Typical male member of the Kazon-Relora sect. 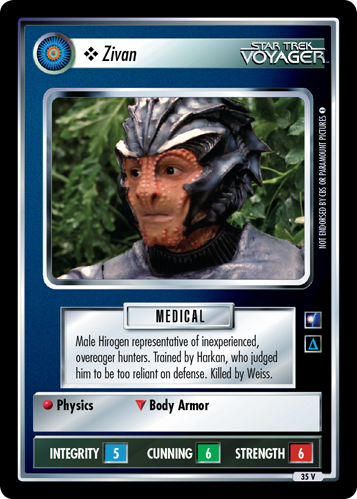 Assistant to Haron. 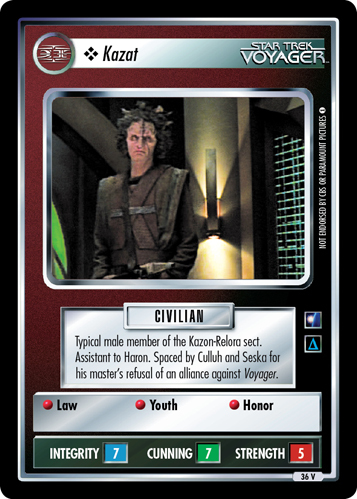 Spaced by Culluh and Seska for his master's refusal of an alliance against Voyager.